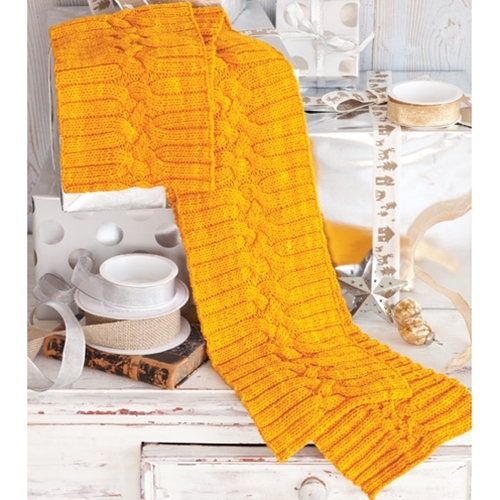 This sunny scarf has texture to spare: The central cable is flanked by furrows created by a deep 3x2 rib. The scarf is knit lengthwise, so make sure your circular needle has a cord long enough to accommodate a large number of stitches. 30 sts and 28 rows to 4"/10cm over chart pat using size 6 (4mm) needles.